At Westmoreland Union Manor, about 50 turned out to plant new growth, while others pulled up invasive species from the grounds, even some of Manor's residents pitched in. 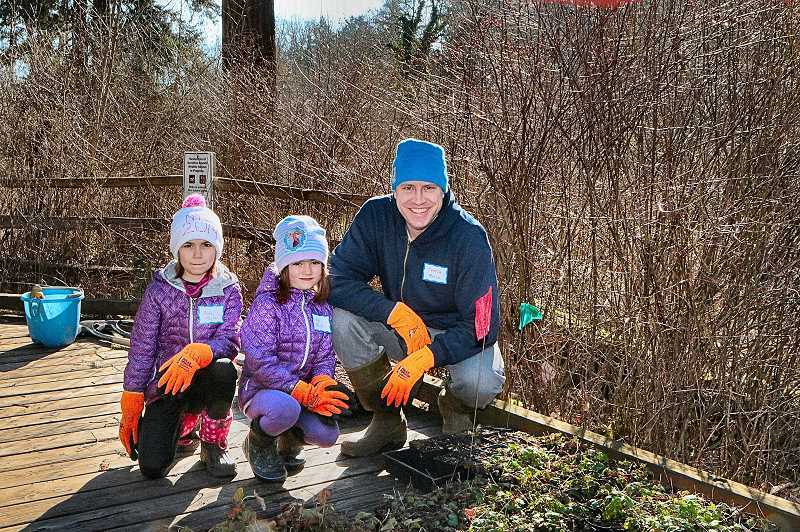 "We've a great group of volunteers to plant natives in the wetland near the creek," said Marianne Colgrove with "Friends of Tideman Johnson". "This JCWC event is kind of special for us, in that this month, our Friends group celebrates its 12th anniversary," Colgrove confided to THE BEE. "Partnering with the JCWC on projects such as the 'Watershed Wide Event' is really important to us at Portland Parks & Recreation, because it involves so many people in the community," remarked the Bureau's Stewardship Manager for the Johnson Creek Watershed, Susan Hawes, as she helped out at one of the sites. "For our Bureau, it's all about getting people engaged in, and connected with, their local parks and natural areas." 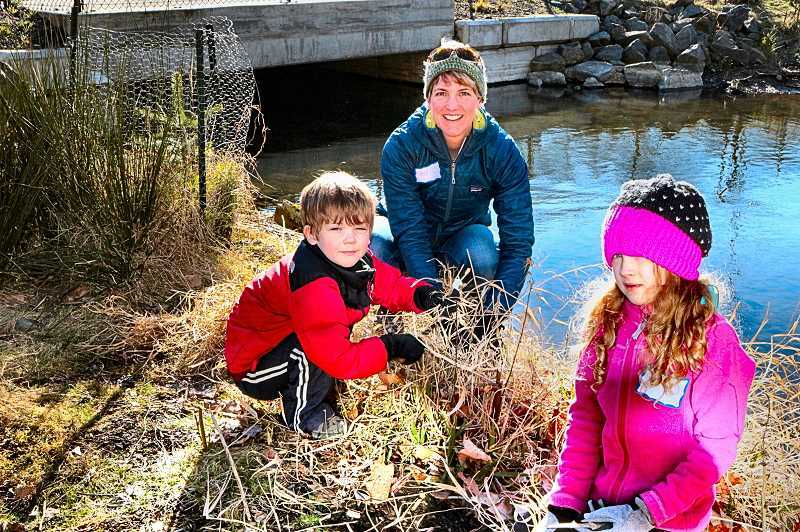 "It's beautiful to see people gathering together to care for the creek and each other during our events all year long, smiled JCWC Volunteer Coordinator Courtney Bektel, coming back from a worksite. Wrapping up his participation in his fourth Watershed Wide Event, JCWC Executive Director Daniel Newberry chimed in, "And we've seen an increase in the number of corporate, government, and nonprofit teams coming out to help over the past few years. "Improving the health of local streams and natural areas is a great way to do something positive for the community and the earth; and doing it together is a great way to deepen existing friendships, and build new ones," Newberry reflected.